﻿CSA Box#17 Friday October 19th - SECOND TO LAST BOX! 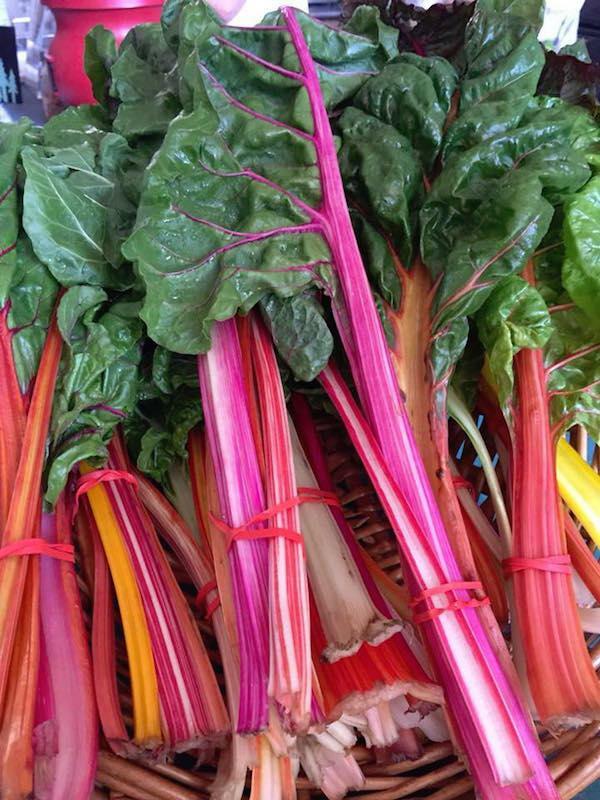 THIS IS YOUR SECOND TO LAST CSA BOX . YOUR FINAL DELIVERY WILL GO OUT FRIDAY OCTOBER 26th. 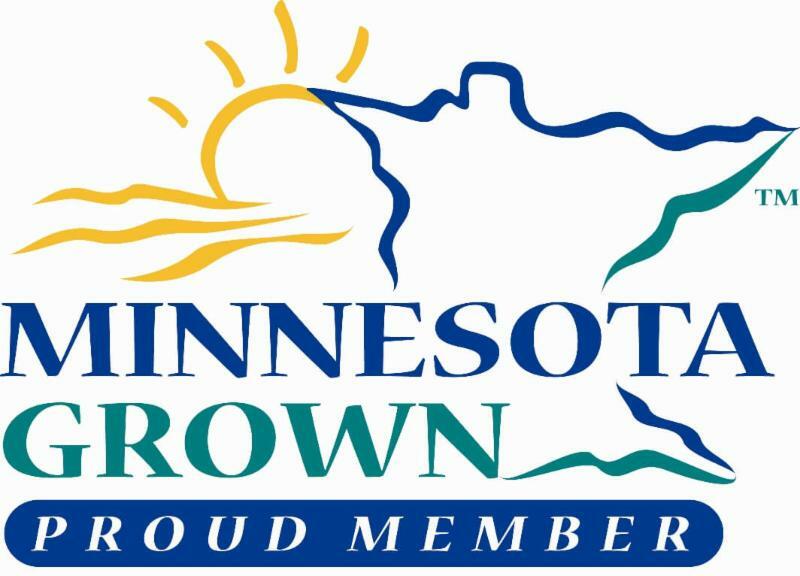 Thank you for being shareholders in Amador Hill Farm and Orchard! Please remember to help us out by completing the 2018 CSA EVALUATION FORM. This year has been an outstanding year for apples! Our hard working and dedicated orchard team is led by Hilary with staff, interns and volunteers including Dave, Joni, Jacquelyn, Jerry, Melissa, Shoua, Katie, Medha, Miranda and others who have harvested, sorted, washed and packed apples over the past several weeks in excessive heat, sun, wind, rain, snow! As of TODAY the majority of our apples are in the cooler packed and ready to go. 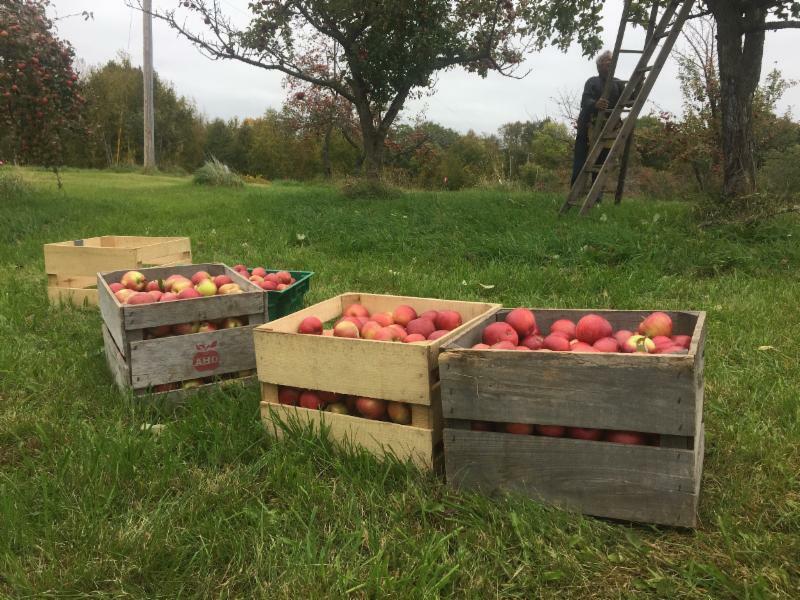 Our beloved orchard trees and crew were so productive this year that we have an overabundance of apples and therefor we are reducing the price. The prices you received earlier this week was our discounted price for shareholders but we've decided to offer that price to all Amador Hill customers and give shareholders (and Friends of WEI Members) an additional 20% discount on all apple orders ( t hose who already ordered their apples have seen this discount reflected in their invoice). 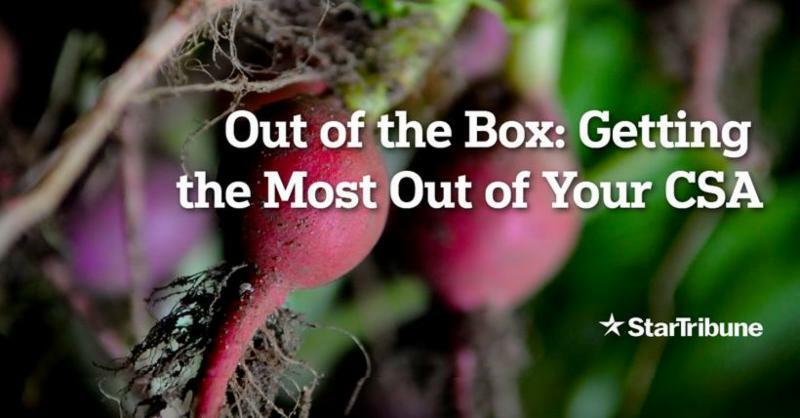 You may purchase an add-on box for your final CSA delivery or choose other delivery options. Click the ordering link below for more details and use the discount code AMADORORCHARD2018. We hope you have enjoyed the apples in your boxes this year and all of your other produce as well. 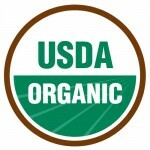 The Amador Hill Farm team have worked so hard this year to provide you with good food for your body, mind and soul. Thank you all so much for your support and for believing in a small sustainable farm and all that we work towards for food justice. 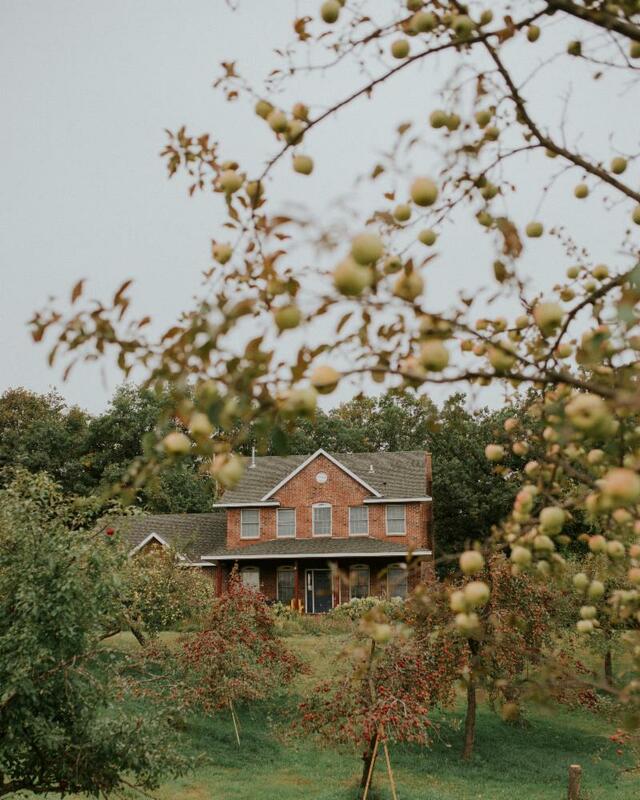 Pictured above : WEI's Eco-Retreat Center surrounded by Amador Hill Orchard Trees dense with fruit! 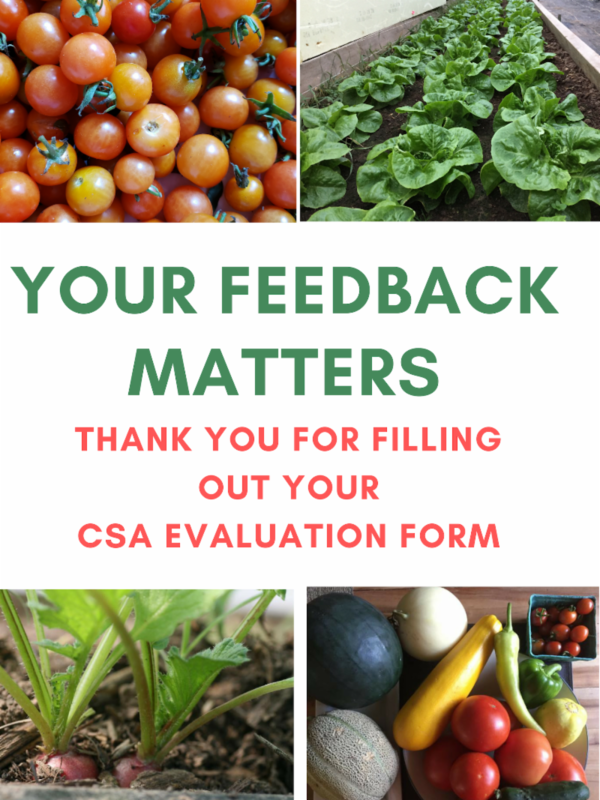 Please help us plan for next year by completing a CSA EVALUATION FORM. 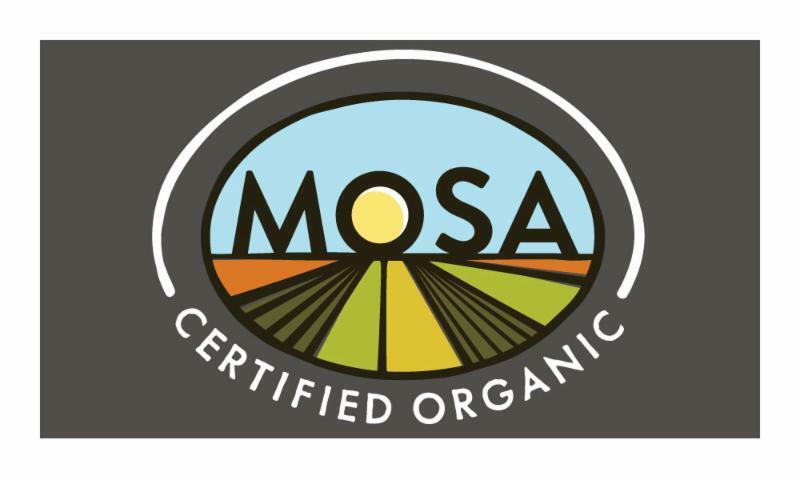 To purchase an 'add-on-box' of apples for your final CSA delivery. This week we send a variety of winter squash distributed randomly among boxes. 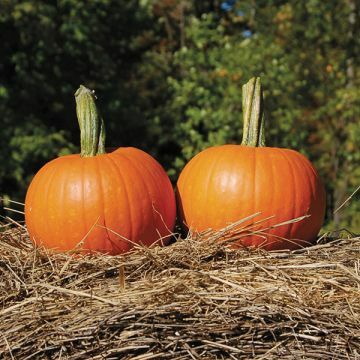 You may see Delicate, Spaghetti, Red Kuri or Pie Pumpkin varieties. Storage: Keep in a cool dark place for a several months. Or leave on your dining table for a festive decoration for a couple of weeks. This peppery and tender green is a perfect compliment to your squash and apples this week (see recipes below). Arugula is a bit of a superfood! Packed with nutrients like calcium and iron. You'll benefit from a boost of antioxidants when you consume your arugula this week! Arugula is particularly delicate, take care when handling. Storage: Store refrigerated in a loosely wrapped plastic or in the crisper drawer for about five days. Extend the life by adding a paper slightly damp paper towel to the bag. It is a nice time of year for Cesar Salad. 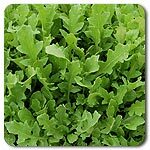 Romain heads are tender and juicy, and offer just a bit of crunch in a salad. Doused in Cesar Dressing, and tossed with good hearty whole grain croutons and Parmesan Cheese - a perfect Friday night meal! Storage: Store refrigerated loosely wrapped plastic in the crisper drawer of the refrigerator for about a week. Cortland Apples are a cultivar of Macintosh with a similar sweet flavor, highly aromatic and crisp but with a fair amount of tartness. They are a m edium sized apple with dark red skin, white tender flesh which takes longer to brown when cut than other varieties - so they are very good for salads! Good for eating fresh and cooking. 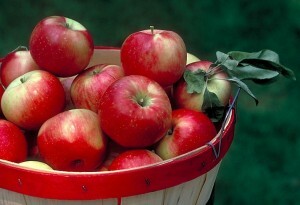 Storage: Store your apples loosely wrapped in plastic in the crisper drawer of your refrigerator. This variety should last a couple of months. To extend their shelf life, place a damp paper towel in the bag to help retain a little moisture. Another super food to drive up your healthy eating this week. Salads and smoothies will do the trick! Try braising your kale with chard and apples - see recipe below. Many recipes recommend you remove the inner stalk and use it separately but you can also leave it in tact, it will add a crisp texture to your dish. 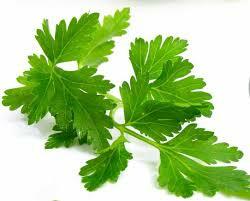 If you do remove them, use as you would celery or add to your smoothies. 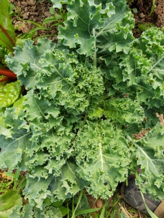 Massaging Kale helps soften the texture and flavor of this powerful green - with a bit of oil on your hands, gently rub the kale, or gently toss in a bowl. Storage: Store refrigerated loosely wrapped plastic in the crisper drawer of the refrigerator for a week or more. 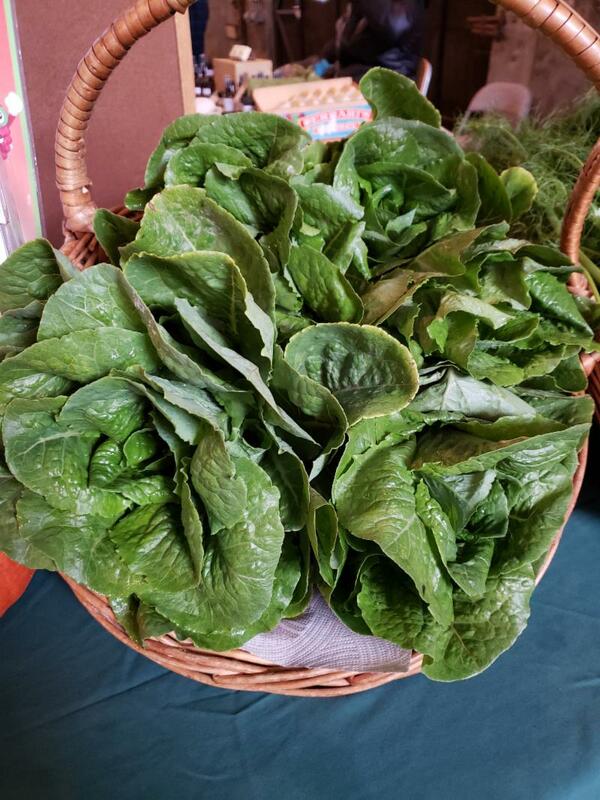 Beautifully colorful, crisp, leafy greens, equally as nutritious as your kale and will work interchangeably with Kale in many recipes. 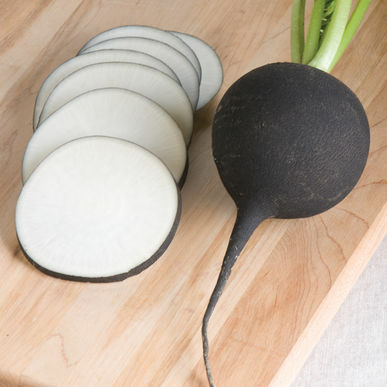 This exceptional radish variety, with dark black thick skin, and crisp white flesh has a wonderful sharp and earthy taste that sets it apart from other radishes. These will last in your crisper drawer longer than most radishes, but another way to make use of these in coming weeks is to make a batch of quick-pickled radish. Storage: Store loosely wrapped in plastic in your refrigerator for a couple of weeks. Our crew will pack any extra produce they harvest this week randomly among the boxes. Herbs, peppers, eggplant is what you might find! Last week I noticed that some of my apples from previous weeks were getting a bit soft, so I decided to make a galette, which is a rustic French tart . They are great because it’s gives the simple jigsaw puzzle enjoyment of carefully placing bits of sliced apples in a circle so it looks cute and it is also incredibly easy to make. I made it by hand instead of with a food processor, which means I cut up the butter and put the butter on top of the flour in the bowl and put it in the freezer for 20 minutes to get SUPER cold and rinsed cold water over my hands before mixing. The key is giving the dough enough time to rest so that it is easy to work with. I didn’t use a recipe for my apple filling, just squeeze a bit of lime juice (was out of lemon) over sliced apples, a handful of sugar and a dust of cinnamon. Make sure to rest the filling for 10 minutes after mixing so you can strain off any liquid so you don’t get a soggy bottom on your tart. If you don’t want to make dessert, you can caramelize some onions (beware! This takes a solid 45 minutes!) and added some cubed squash for a savory tart. A quick internet search will show tons of galette filling option, but use Dorie’s recipe for the dough. She is an incredible recipe writer and everything I have made of hers has been foolproof, including this dough! Put the flour, sugar and salt in a food processor and pulse a couple of times to blend. Scatter the pieces of butter over the dry ingredients and pulse until the butter is cut into the flour. At first you’ll have a mixture that looks like coarse meal and then, as you pulse more, you’ll get small flake-size pieces and some larger pea-size pieces too. Add a little of the ice water and pulse, add some more, pulse and continue until all of the water is in. Now work in longer pulses, stopping to scrape the sides and bottom of the bowl if needed, until you have a dough that forms nice bumpy curds that hold together when you pinch them. Just before you reach this clumpy stage, the sound of the machine working the dough will change—heads up. Turn the dough out onto a work surface. To incorporate the butter more evenly and to catch any dry ingredients that might have escaped mixing, separate small amounts of dough from the pile and use the heel of your hand to smear each piece a few inches across the counter. In French this is called fraisage, and it’s the ideal way to finish blending a dough. Gather the dough into a ball, flatten it into a disk and put it between two large pieces of parchment paper. Roll the dough, while it’s still cool, into a circle about 12 inches in diameter. Don’t worry about getting the exact size or about having the edges be perfect; when you construct the galette, the edges will be bunched up and pleated and they’ll only look prettier if they’re a bit ragged. The dough will be somewhat thick and that’s fine—you want to have a little heft for a free-form pastry. When you’re ready to use the dough, leave it on the counter for a few minutes, just so that it’s pliable enough to lift and fold without cracking. Storing: The dough can be kept in the refrigerator for up to 2 days or wrapped airtight and stored in the freezer for up to 2 months. If you’ve frozen the dough, leave it on the counter to come to a workable texture and temperature. Regardless what you fill your galette with, it should be baked in a 400 degree preheated oven for 45-55 minutes. Thin slice or cut matchstick-style one or two radishes, a large carrot and/or other root vegetables. For every 1 cup of vegetables, use 1 T sugar and 1 T salt and toss together to coat well. Place vegetables in a colander at room temperature for about 10 minutes to release liquid. Rinse well, drain and squeeze dry. Place in sealable jars. Use a 1:1:1 ratio of vinegar, sugar and water for the brine. For 1 cup of vegetables, use 1 cup vinegar, 1 cup sugar and 1 cup water. Bring vinegar to boil, then reduce heat and add sugar to dissolve thoroughly. Let cook and add 1 cup of cold water. When liquid has cooled off, pour liquid over vegetables. They will be ready in about an hour or will keep in your refrigerator for a couple of weeks. Use on sandwiches, salads, noodles. This is a basic recipe for Asian cuisine, often used in Bahn Mi Sandwiches, cold noodle dishes and as a garnish. Here's a great Bahn Mi resource : 8 tips for perfect bahn mi. APPLES AND ARUGULA - a perfect match, sweet and subtly spicy! Heat a heavy frying pan over medium heat. Add cider vinegar, apple cider and simmer over medium heat until nearly evaporated. Top with pickled radishes for a crunchy addition!